In addition to following the guidance in the first of this services there are some other things to consider to make sure you get the most suitable service from the day you move in. Are you still within the minimum 12 month contract period? If you are you will be required to pay the outstanding balance at the time of cancellation. In practical terms this is unlikely to apply to many people. If you are out of the minimum contract check the minimum notice you will have to give. This is usually one month. There will be a requirement to leave your direct debit authorisation in place for a further month after the end of the contract. This is because some services are charged in arrears, so your use of the service cannot usually be calculated until the end of the month when the contract is terminated. A small number of people choose to use a service with no minimum contract period. These may have a cancellation fee, something that the standard types of contract do not have. Choosing to remain with your current provider is one option. You may find that they have introduced new offers since you first signed up and other companies have brought new services to the market. So, it is wise to look at everything before committing yourself to a twelve-month contract when you relocate. You will probably have already researched broadband availability at your new property and there is a possibility that you will not be able to have the same service as before. This is particularly true if you have had the ‘degroupage partiel’ service where you had a telephone line that carried your calls and broadband provided separately but on the same line. This service ceased to be available in November 2018. In addition, there are two new services and depending on where you will live will rest their availability. We have mentioned that the ‘degroupage partiel’ service is no longer available. It was associated with areas where only slow broadband was available. In recent years the significant investment in the national telecom network has meant that many more homes can access the faster ‘dergoupage total’ service where the calls are carried by the broadband service. In addition to being faster it is also cheaper. Like many others, you may not be able to access this fast service because you live in a rural area, so you will probably be offered an alternative 4G service. This provides a broadband access using the local mobile network. In the circumstances where this is not available you will have to consider satellite broadband. The RIO service that lets you keep your telephone number when changing telecom companies whilst not moving is not available if you are relocating. 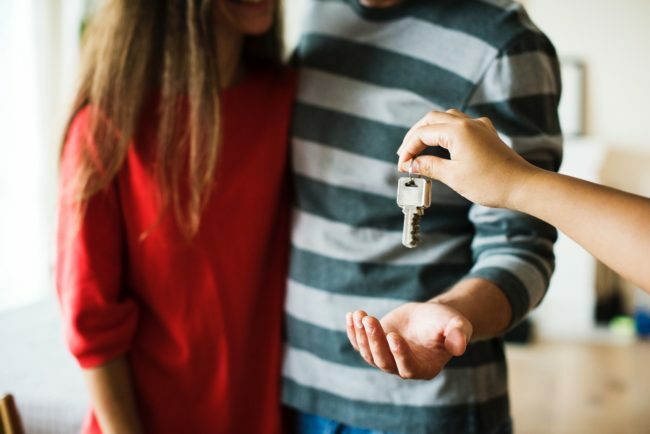 If there is an existing service into your new property the number will be ceased, so don’t give it to anyone, but wait for a new one to be provided. This and other important related matters are dealt with in the ‘Essential Tips’ paragraph contained in the ‘Found your ideal French property – the next steps to get the best broadband’ pages. Fuller information can be found on our ‘Found your ideal property – the next steps’ but do remember that any active line in the property you are buying will have to be ceased by the current subscriber before you can take over the line. After this has been done your services should be able to be set up remotely with a 59€ connection charge. If there has been a line previously but not within the last two years it likely that a technician’s visit to your property will be required to get your service live and there will a 59€ connection charge. If there never has been a line there you will have to follow the further guidance we give in the same sheet. Here is a summary of the process for different situations. The 55€ Management Fee is a reference to a service UKTelecom provides to simplify the installation and connection process. Whilst 95% of our customers ask for our help in this way it is not obligatory. Remote activation can take up to 10 working days. A RIO number will be required if you wish to retain your existing number.